This is turning out to be such a long, tiring weekend. So, a brief review of Hunger Games. I seem to be in the habit of disagreeing with movie critics lately. John Carter was not lauded in many reviews, but I liked it. 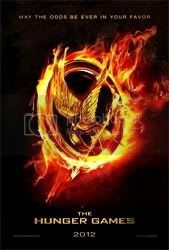 The Hunger Games has been praised to the skies in all but one or two reviews I’ve read, but I don’t like it. The movie gave me a rather persistent headache, since most it was handheld, shaky cam style. I can handle that sort of thing in sporadic scenes scattered throughout a movie, but not when nearly three-quarters of the whole thing tries to emulate that sort of live, news camera feed. That’s a big, automatic minus in my books. I understand that they want to try and show it from Katniss’ point of view (the book is written from a first-person point of view) but… but… Just too much shake. It was a good thing that I’d read the book beforehand. I could close my eyes and zone out a little to reduce the dizziness without getting confused about the narrative. They’ve also made a little too much of Gale – I suppose they want to prepare audiences for more of him in the following movies, but the exact relationship between Gale and Katnisis was unclear. I think people who haven’t read the books would assume that Gale is Katniss’ boyfriend (which is what one of the people I was watching the movie with did). That spoiled things somewhat, because then Peeta just seems like a jerk. The clothes disappointed me. Cinna’s portrayal was fine, but the costumes themselves were rather underwhelming. Especially the dress Katniss wore to her interview with Caesar Flickerman. I expected something prettier than that. Speaking of Flickerman, I liked how they cut away to Flickerman and the other guy during the games just like how you would cut to commentators in TV shows. It served as a good way to explain things to the audience – such as the tracker jacker wasps.